BEST EVER APPLE CRISP is one of our family favorites desserts. Maple caramelized apples and a crisp sweet topping, nothing beats this fall treat. 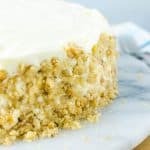 This APPLE CRISP recipe has made it into our monthly rotation and I could not be more elated that I have some crisp dessert fans in my family. I have mentioned this a few times before on the blog about how much my family and I are into cobbler and crisp recipes. 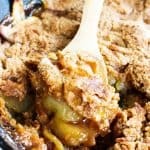 It all started when I make this BEST EVER PEACH COBBLER RECIPE and then continued with CHERRY COBBLER RECIPE AND then my BEST EVER APPLE CHERRY CRISP. My kids say it is a toss up on which one is their favorite between this BEST EVER APPLE CRISP and the peach cobbler. I’m for apple all the way. Typically it seems we have Honeycrisp apples in our store all year long and if by chance they are out it only last for a few weeks or so. Except for this year there seemed to have been a Honeycrisp apple shortage here in Colorado because I went without them for over 2 months, a long 2 months. 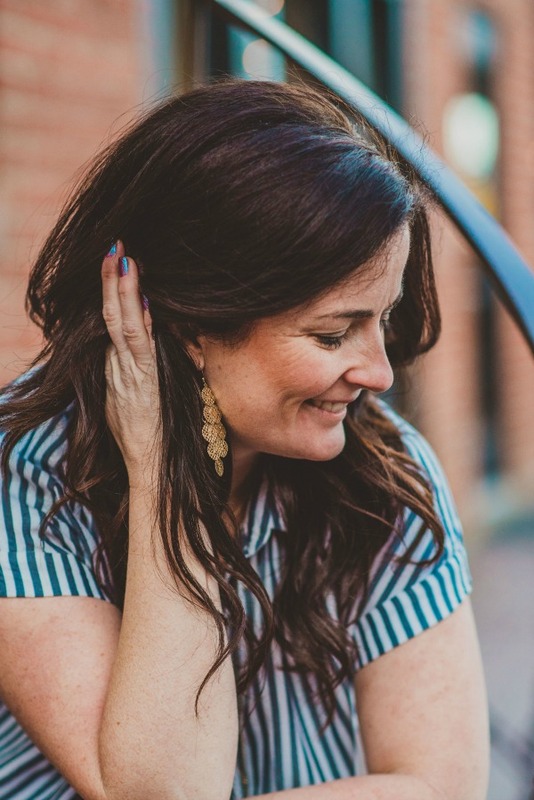 I resorted to my second favorite the Pink Lady – but it just wasn’t the same. I went from eating an apple a day to an apple every few days. Now I must say I would never use them in this apple crisp recipe for two reasons. One Honeycrisp apples are expensive and secondly, Granny Smith apples are just perfect for baking. The tartness and sweetness to the Granny Smith apple married with the brown sugar and maple syrup making a deliciously almost caramel sauce, it is drool worthy. 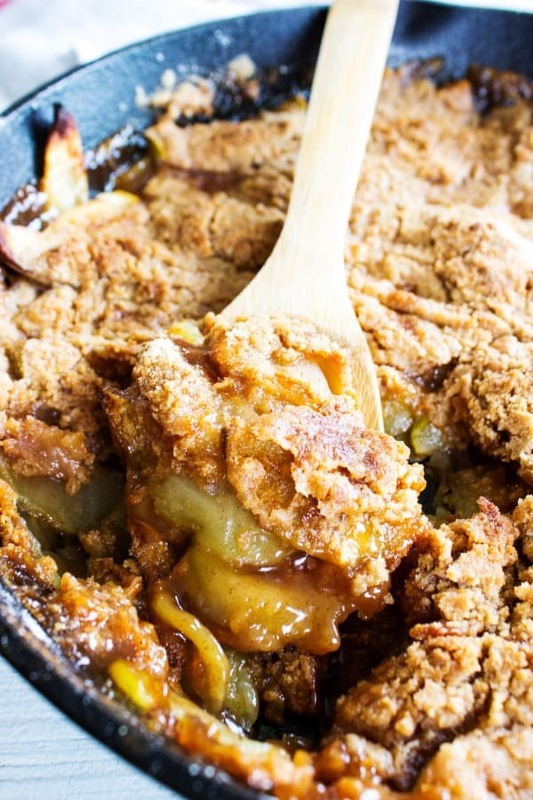 I think that apple crisp is one of those desserts you can make all year long. Fall, spring or summer this is always a hit around the table. I’ve shared this secret before but just in case you missed it I will share it again. 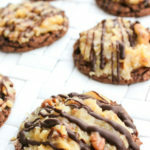 The key to make the best crisp recipe is in the topping. My friend once told me what made her recipe so much better is that she substituted the flour for a yellow cake mix. I instantly knew that this was the best kept secret and it needs to be shared. Since then I have been doing this and I love the hint of sweetness that using a yellow cake mix gives. Not overly sweet, just the right amount. 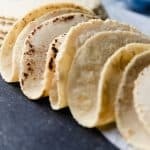 I love learning little tidbits like that from friends and family because truly this is the way to food perfection is sharing what we know and like. How do you make Apple Crisp? hen slice each quarter piece into three pieces. 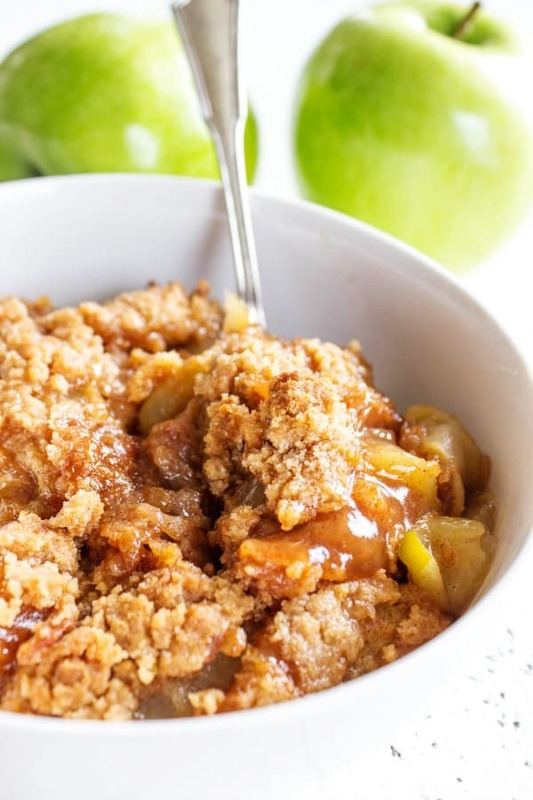 In a large bowl add apple slices, lemon juice, cornstarch, brown sugar, white sugar, vanilla and cinnamon. Pour apple mixture into skillet or 2-quart baking dish and place in preheated oven and bake for 10 minutes. While apples are baking, in a medium mixing bowl, combine yellow cake mix, brown sugar, salt and baking powder. Add butter, and using a pastry blender or a fork, cut butter into the mixture until it resembles coarse crumbs. Add crumb topping to cover the apples entirely. Set in the oven and bake for another 30-35 minutes or until crumb topping is a nice golden brown and the juice from the apples is bubbling. 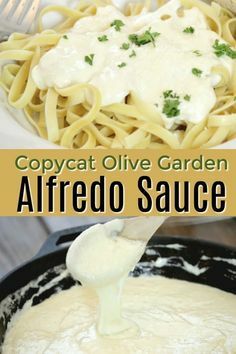 Serve immediately or let it cool and serve later, it’s great either way especially with vanilla ice cream or homemade whipped topping. 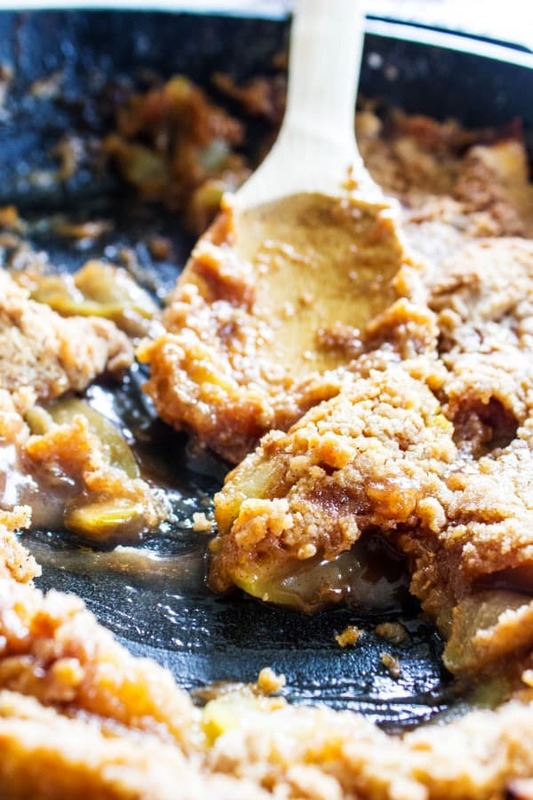 My favorite kitchen items I used to make this APPLE CRISP. CAST IRON SKILLET: I love my 12-inch LODGE Cast Iron SKillet it seems to cook everything to perfection! This is a kitchen must have for me. PASTRY BLENDER: If I mention getting this item in the post than to me it is a necessity. 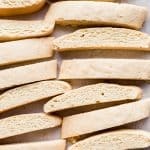 You could also substitute this kitchen item using two table forks but that just takes more time and does not get the same consistency as a pastry blender does. Love baking with apples like I do? 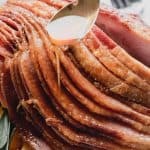 Check out a few more of my favorite apple recipes: Apple Pie Punch, Caramel Apple Bites, Caramel Apple Brownie Recipe and Apple Walnut Salad. Don’t forget to pin this to your favorite Pinterest board for later. 1 1/4 cups yellow cake mix just the mix! Peel apples, cored and then slices into quarters. Then slice each quarter piece into three pieces. 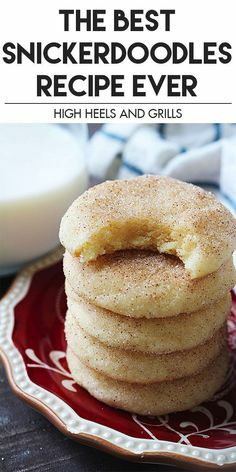 In a large bowl add apple slices, lemon juice, cornstarch, brown sugar, white sugar, vanilla and cinnamon. Gently toss to combine. Pour apple mixture into skillet or 2-quart baking dish and place in preheated oven and bake for 10 minutes. While apples are baking, in a medium mixing bowl, combine yellow cake mix, brown sugar, salt and baking powder. Stir to combine. Add butter, and using a pastry blender or a fork, cut butter into the mixture until it resembles coarse crumbs. 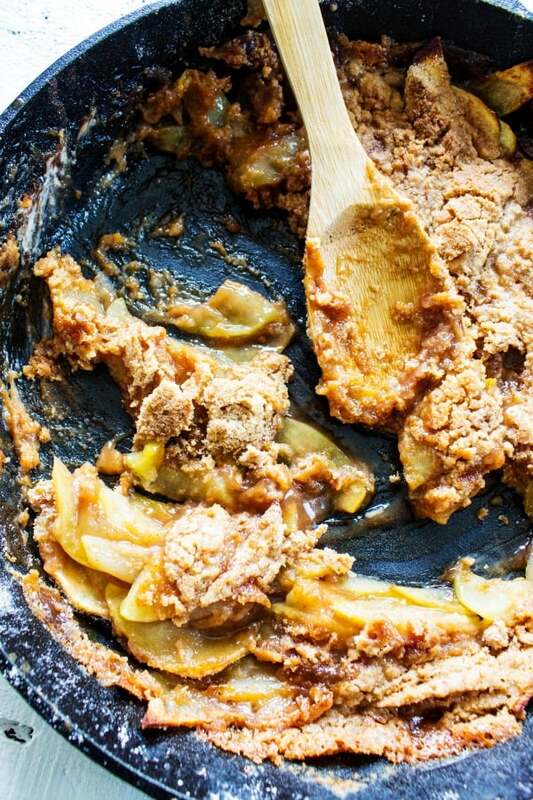 Add crumb topping to cover the apples entirely. Set in the oven and bake for another 30-35 minutes or until crumb topping is a nice golden brown and the juice from the apples is bubbling. Serve immediately or let it cool and serve later, it's great either way especially with vanilla ice cream or homemade whipped topping. 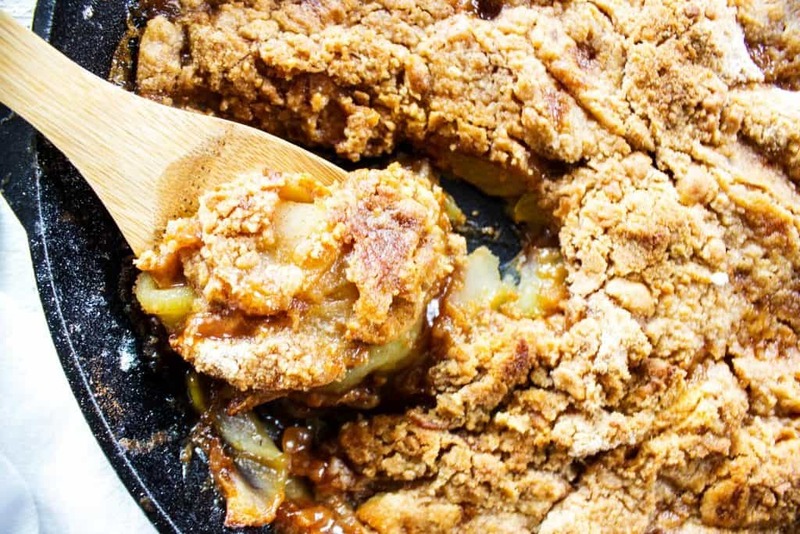 best apple cobbler I’ve ever had – i’d add pecans. love it and love you. This truly looks like heaven in a bowl! 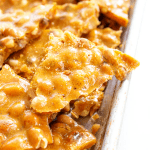 Crisp is easy to make and it’s a family favorite around here. Can’t wait to try this version!